In loving memory of Mary Logan who passed away on Wednesday, March 27, 2019 at the age of 88 years. Mary will be forever cherished and remembered by her family; Ann-Marie (Terry) Dies, Frank P (Noella) Logan, Beth (Terry) Venn, as well as her 6 Grandchildren, and 5 Great-grandchildren. Mary had been predeceased by her husband Frank in 2003. There will be a Memorial Mass held for Mary on Monday, April 1, 2019 at 11:00 a.m. from St. Joseph's Catholic Church, Kindersley SK with Father Emmanuel Azike celebrating. Prayers will be held for her the evening before at 7:30 p.m. from the Church. Mary will be laid to rest in Brock Cemetery beside her husband Frank. 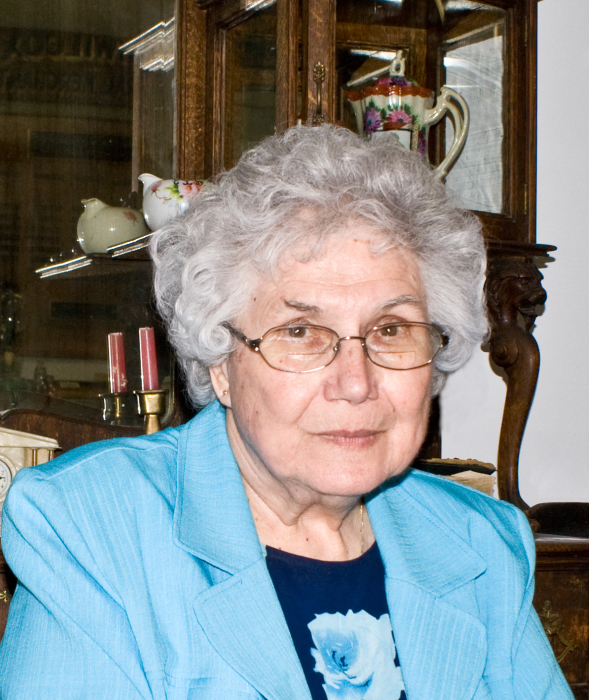 Mary Lena (Grocholski) Logan, "Mama Lena" to her family, was born April 19, 1930 in Uno, Manitoba and married Frank J. "Tiny" Logan on June 30, 1952. Mary was a loving wife, mom, mom-in-law, grandma and grandma-great. She was forever a hardworking farmwife; milking cows, growing and harvesting large gardens, making goodies and preparing delicious "pissnic" baskets for family outings down at the river. Mary and Frank resided on a farm in Brock until Frank's passing December, 31 2003 after which she moved to Dawn View. Mary enjoyed knitting, puzzles, Coronation Street, reading and card games with her much loved friends.